What is it with people these days and their love to throw parties for friends and families? Everywhere we look, it seems there’s something hip going around in the lives of our friends. Whether they are getting married, celebrating their Nth monthsary, or throwing a party for their kids’ birthdays, something is always hippin’ and hoppin’ with them that we can’t help but take notice of the styles and designs they use for their parties. 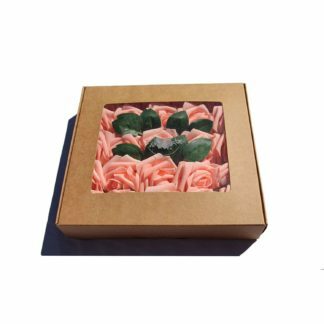 Succulents like CAL Farms 36 of 2″ Beautiful Rosettes Succulents are great additions to a garden wedding or any event for that matter that uses a garden as its backdrop. Do you want an indoor event? Not to worry. 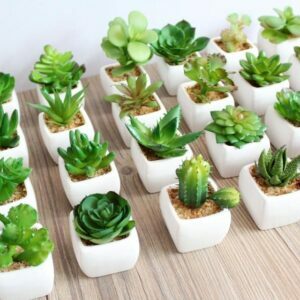 Succulents are so versatile and flexible that they can easily be incorporated into the bare backgrounds of a hotel ballroom or a restaurant’s private room. Transforming an event place becomes easier because succulent plants take on a character of their own. Aside from the fact that they look elegant on any table, their leaves also don’t have the tendency to fall off in the middle of a party. 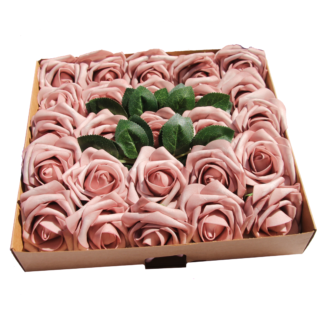 Tired of the usual roses, tulips, orchids, sunflowers, and daisies that adorn your tables? 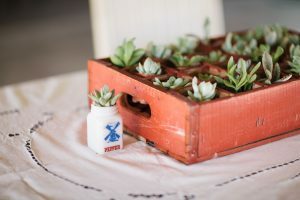 Succulents are so easy on the eyes that many event stylists started incorporating them into the flower arrangements for the tables’ centerpieces. You can also use them on their own. Since there are many varieties of succulents, you can experiment with them and find the varieties that would look good on the table when put together. You can use succulents as a candle holder (provided that it won’t directly be affected by the melted candle) or as a table number holder. There are so many ways that succulents can beautify a simple table. Many event stylists now use succulents as party favors. 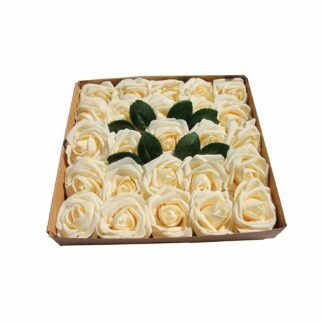 Guests love receiving something that they can use to decorate their places or offices with. 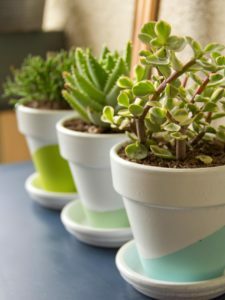 Although technically they would have to take care and maintain succulent plants, it involves nothing but making sure they get the right amount of sunlight and water, making them the perfect plants for even the most non-green-thumb person. 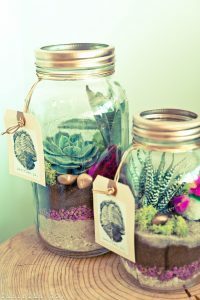 Instead of choosing to give away souvenirs that would most probably go straight to the bin, try to incorporate succulents into the overall theme of your party and give them away as souvenirs to your guests. They would love the creativity and the thoughtfulness, and they would be “forced” to take care of the plants. Do not be contented with having a simply registration table. Make the most out of your succulent plants by installing a vertical garden as the backdrop of your registration table. Instead of the usual tarpaulin bearing the name of the event, you can also opt to have a succulent vertical garden with the plants spelling out the event’s name or theme. 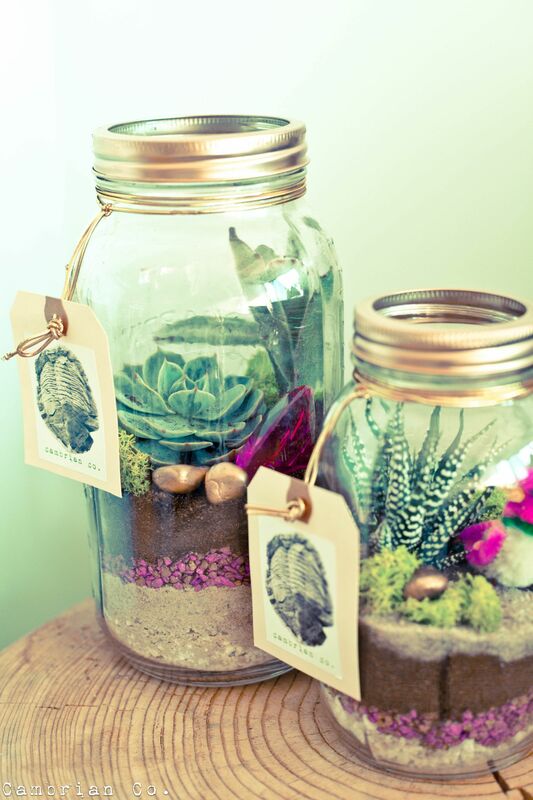 You can also use succulents as the background for the photos the official photographer will take of your guests. Don’t simply let them stand in front of a blank wall or God forbid, a giant photo of your face. Bare ceilings are a no-no. What use would all the flowers and props be on the stage, tables, floors, walls, etc., if your ceiling will be left bare. 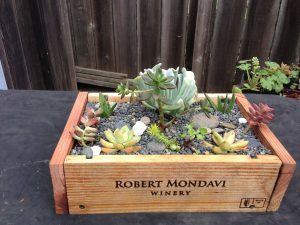 There are gorgeous varieties of succulent plants that could hang down the rim of a container and cascade down beautifully. Be creative on how your ceiling could catch the attention of your guests. If you think vertical gardens are cute, how about creating a hanging garden? Your guests will surely appreciate the effort. 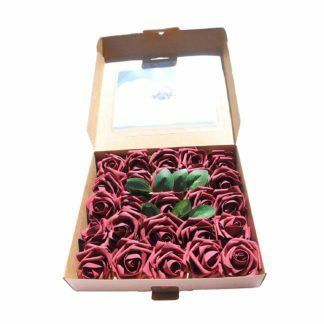 Plants like CAL Farms 36 of 2″ Beautiful Rosettes Succulents are such wonderful addition to any home garden or a miniature garden you have in your living room and in the lobby of your office building. These robust and fleshy plants can survive in the harshest environments and they require very little maintenance for them to be healthy. Starting your very own miniature succulent garden is very easy. 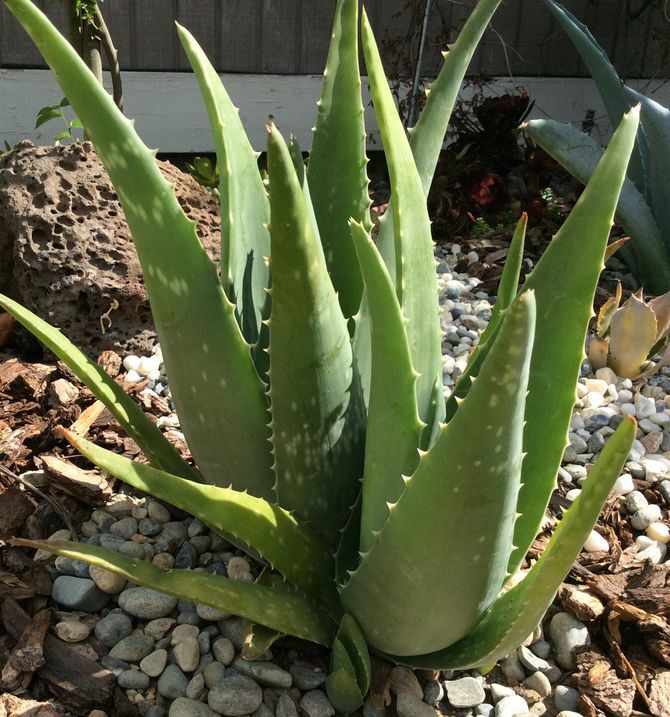 All you need are some gardening tools, succulent plants (of course), and these tips right here. You can find all the materials you need in the gardening department of a local hardware, home improvement store or here in Cal Farms. 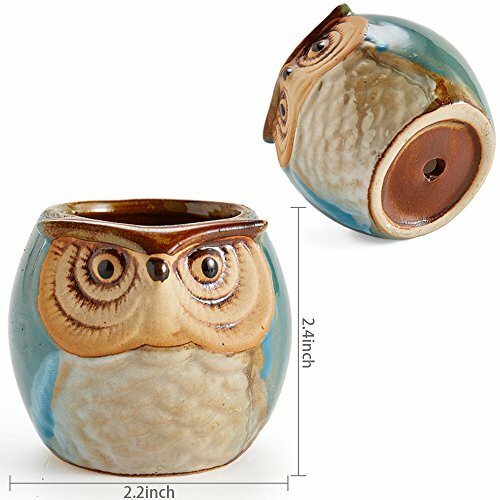 What you need are the following: a small and compact container like 6 In Set 2.5 Inch Owl Pot Ceramic Flowing Glaze Base Set Succulent Plant Pot Cactus Plant Pot Flower Pot Container Planter, gardening soil, small stones or pebbles, and the succulent plant of your choice. These would cost you $20 to $30 or sometimes, even less than that. Try and go when it’s the sale season, so you can maximize your money and purchase more decorative pieces for your mini garden. When you have all of these things, you can finally start your succulent garden. When we talk about succulents, what springs to people’s minds is cacti seeing as they are the most popular succulent plants known to us. But there are many different types of succulents that may be lesser known but are equally gorgeous and relaxing to look at. These are Echeveria, aloe, cotyledon, sempervivum and agave. Keep in mind that you should choose succulent plants that will fit your personality, as well as the kind of garden you have in mind. 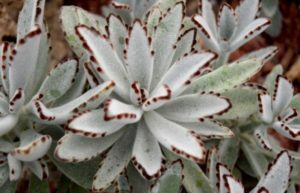 Though all succulents are great to look at, not all of them fit the lifestyle and the look that you want for your garden. Some other things you need to consider when choosing the succulents to plant is the climate in the place where you live in, how much sunlight do you get in a year, and how much time can you devote taking care of the plants. 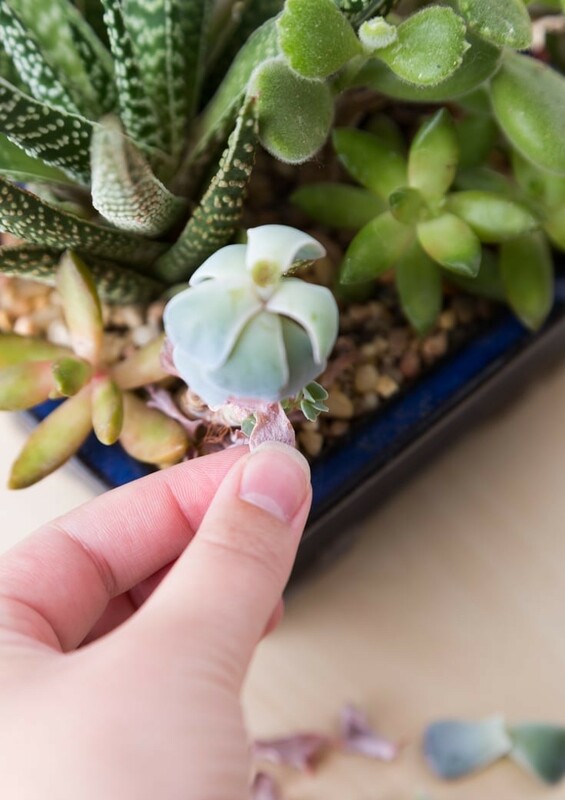 Succulents are very easy to maintain and take care of, but they wither and die when they don’t receive the proper amount of sunlight and water. 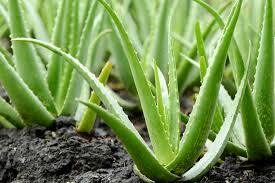 You should also consider how large the plants will get once they start to grow. Remember that you are aiming for a miniature garden. 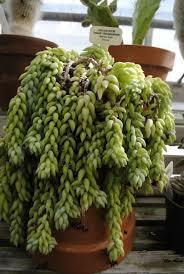 This means you cannot purchase and choose succulents that will eventually grow in height. It’s easy to get lost in the many options you will see in the gardening department. You have to pick the right container size, though. That’s vital if you want to meet the miniature garden that you are aiming for. Ceramic bowls are a good place to start, and you can choose from a variety of designs and colors that these are available in. 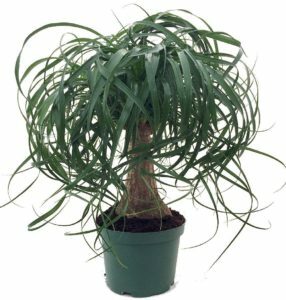 Remember that since you want to have a mini garden, you must choose a container that would be no larger than a houseplant pot. 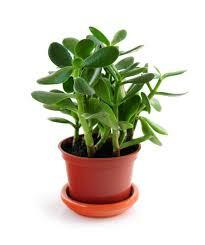 You may also opt to keep things simple by choosing a basic flower pot. 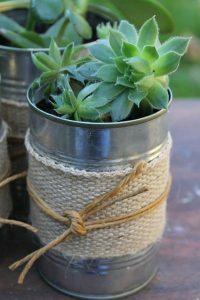 To make your garden more unique, you can choose to plant in mason jars, fish bowls, bird feeder, wheelbarrow, and even an old pair of rubber boots. It’s all in the arrangement, really. 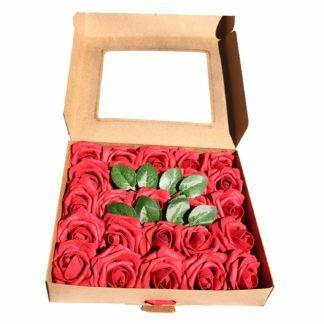 You can be very creative and imaginative in the containers that you choose. Remember, though, that whatever container you choose, make sure that they provide proper drainage and spaces between plants. This will allow the plants to grow out faster and better.